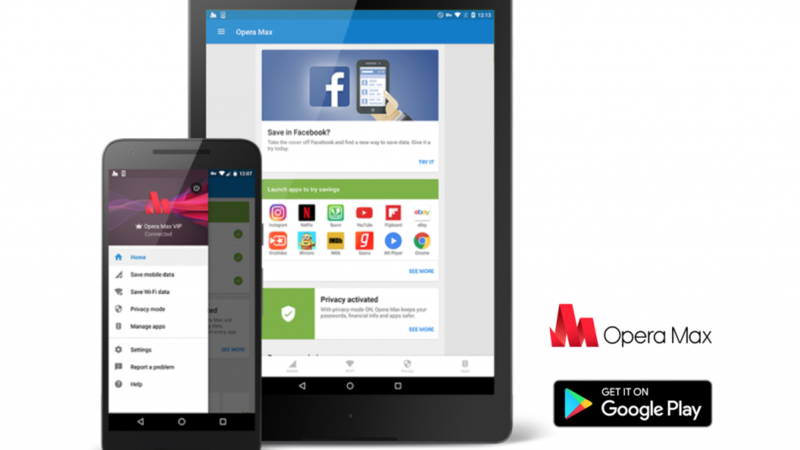 The Opera Max VPN is a pretty popular app, and yesterday it was updated with a few snazzy new tools. In addition to basic VPN abilities, version 3 introduces a fancy new design and will offer users new tips to maximize their data savings. 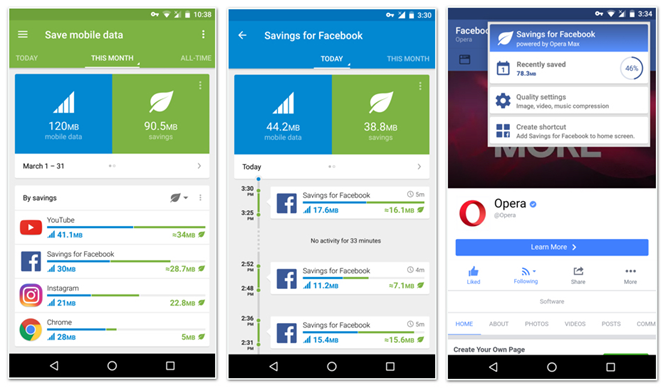 The app also has a new data-saving tool specifically for Facebook, in the form of its own built-in Facebook web app. I'm not a heavy user of VPNs, myself. Outside of specific circumstances like international travel, trying to pull down an OTA early, or a really sketchy access point, I don't actually use one very often. I also don't really use Facebook, but if I did do all of those things, I'd probably be really excited about Opera Max's new features. The biggest feature in the latest update is definitely the new personalized data saving recommendations. It's marketed as a "smart assistant" there to show you from app to app how much data you have used and to provide tips on how to reduce it in a home feed with a simple card UI format. For people on limited plans, it's bound to be a life-saver. As for Facebook, I'm not sure how using a VPN with it may have been a problem before, but I'm sure that any additional savings it might provide are worth it. If you can't wait to check out the new features, you can install the latest version over at Google Play via the glorious widget below, or check it out over at APKMirror.